I've been seeing a number of pretty guns lately. Some of our Facebook fans and customers are sending in photos of their guns that they've adorned with a variety of new accessories, finishes, and coatings. Some are even dressed up with rhinestones! As I share them publicly on our Facebook page, it's obvious from all of the comments and buzz they create that women all over the country are passionate about personalizing their guns. 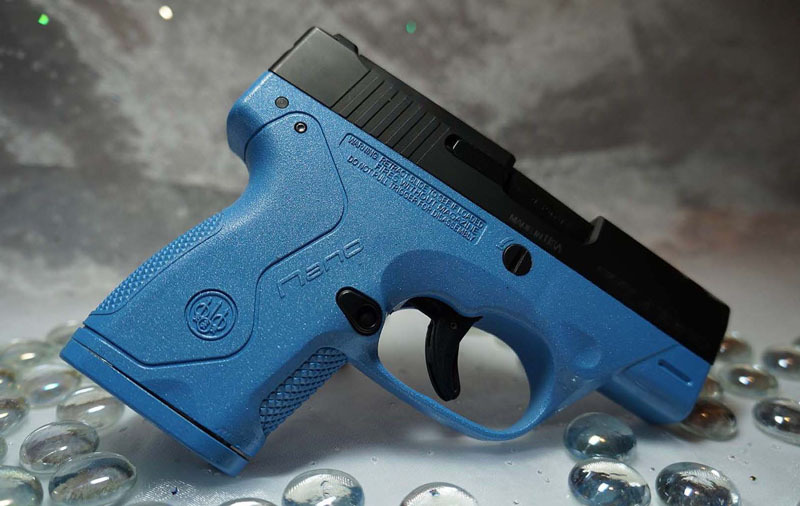 Stunning grips, engraving, colored coatings, accessories and even the use of colored nail polish in the manufacturers stamping are just a few of the touches we see. It's incredible to see how many of these guns are truly beautiful! Yet it feels odd to describe a gun as pretty. Is it possible that something so powerful, something that could be used to take the life of another, could actually be beautiful? It's such an odd question, yet, I can't help but see them as lovely like individual pieces of artwork. 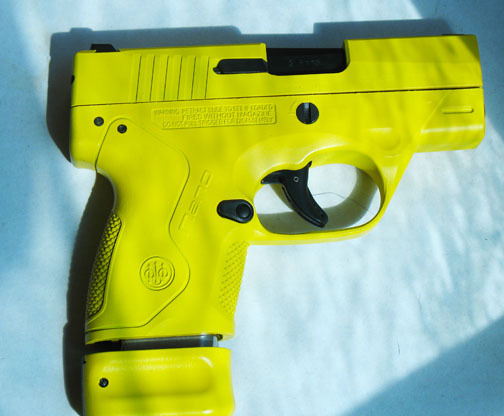 I think we, as women, want to make these new tools of self protection something personal and more familiar. Historically, we have depended on others for this duty, but now woman are assuming that position and everything that comes with the responsibility. After all, this piece of metal becomes part of our everyday life and is literally worn on our body all day long so shouldn't it reflect who we are? What we're like? Style is important to women and we love our accessories. It makes sense that we would need to somehow make our guns our own to display our unique individuality. It seems somewhat natural that this new piece of daily equipment receive the same attention to style and appearance that we give any of our other accessories. I've also noticed not everyone is comfortable with "pretty guns". Some, mostly men, just dont get it. They scoff and think that a gun should look like a gun, that looks like a gun, that looks like a gun has always looked. They view all of this customization as unnecessary and silly make up. What if the bright colors and designs make it indistinguishable from a child's toy? Could it be mistaken for one? The results could be tragic. How would a child know the difference? With all of the feminine or softer features and colors, the gun wouldnt look so scary or threatening, and perhaps it could even look appealing or inviting! Would a pretty pink or purple gun be taken seriously by an attacker? Would you lose the ability to create fear and panic? Could it still scare him off? We hear stories where just presenting the gun prompts the attacker to flee. So, does a pretty gun change this? Do we lose the tactical edge and advantage with a pretty gun? Now, just to be clear, men pretty their guns up too! Yes they do, they just don't call them pretty. They call them "Tactical", "Bad", "Cool", "Gnarly" or some other manly descriptive. Men too like to adorn and customize their guns to add their individual touch and style. But, what we see is all together different in appearance. Men work to give their firearms a meaner, scarier and perhaps a more militarized look, including camouflage patterns and warrior like accessories. It seems men want to make their guns looks scarier and women want to make their guns friendlier and more feminine.